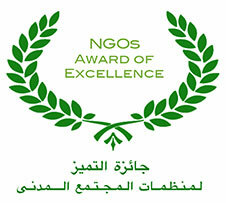 In light of this increasing role played by the NGOs sector in Egypt & out of its strong belief in the importance of the Civil Society as a catalyst for development, Professional Development Foundation launched its NGOs Portal to better serve the civil society sector and to facilitate the NGOs mission in supporting Egypt. 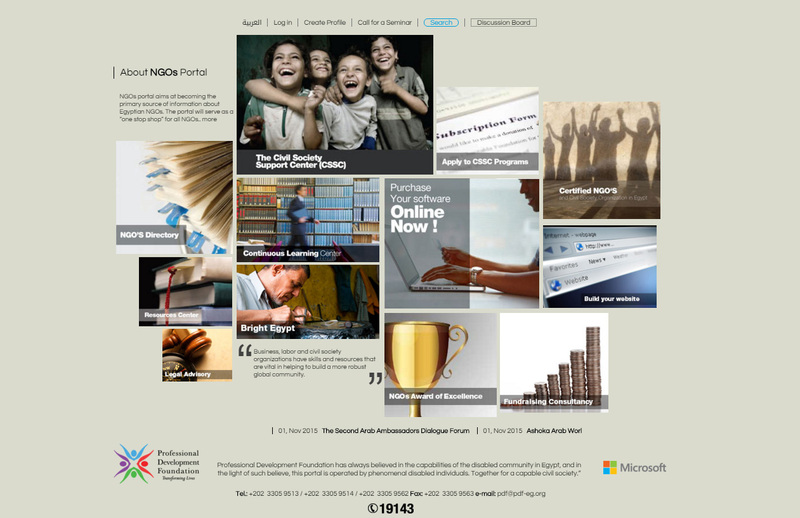 The NGOs Portal represents PDF's strategic response to the challenges facing the local NGO sector. It is the culmination of its years of experience of working in the civil society. Proactively create a better positive communication environment. The portal provides NGOs with a mechanism to air their views, while also creating the opportunity for other stakeholders to critique and evaluate the sector. It will become a marketplace where services can be procured and exchanged. It also provides PDF with a strategic mechanism to communicate its activities and services to the NGO sector and other development stakeholders. NGOs Portal provides a gateway to the NGO sector in Egypt, raising the profile of Egyptian NGOs locally, and supporting the process of repositioning and strengthening the sector in response to the development challenges facing Egypt.